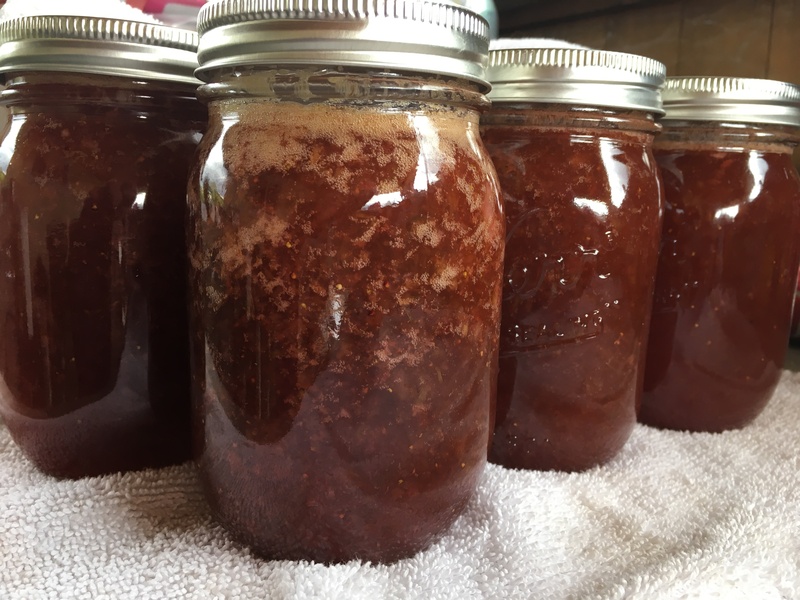 I found a recipe for this jam that I made a few changes to, and this is my final recipe with my changes. It's a hit with all of my friends and family, and I hope that it will be for you as well. 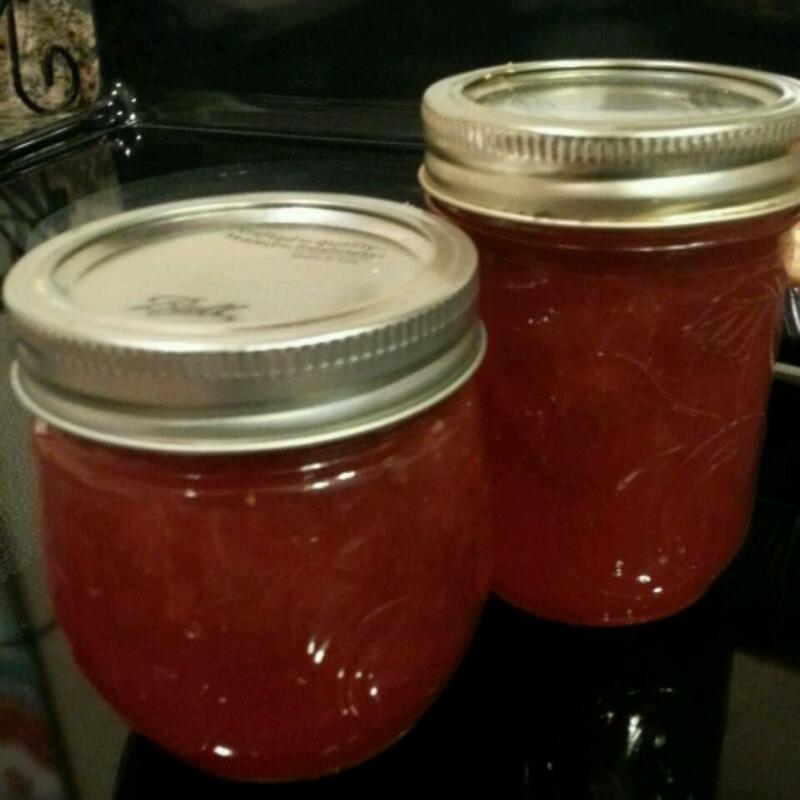 I used fresh ripe and home-grown strawberries and rhubarb to make my jam with. 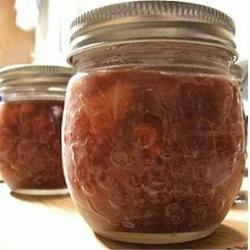 Place rhubarb, strawberries, lemon juice, fruit pectin, and butter into a large kettle over medium heat. 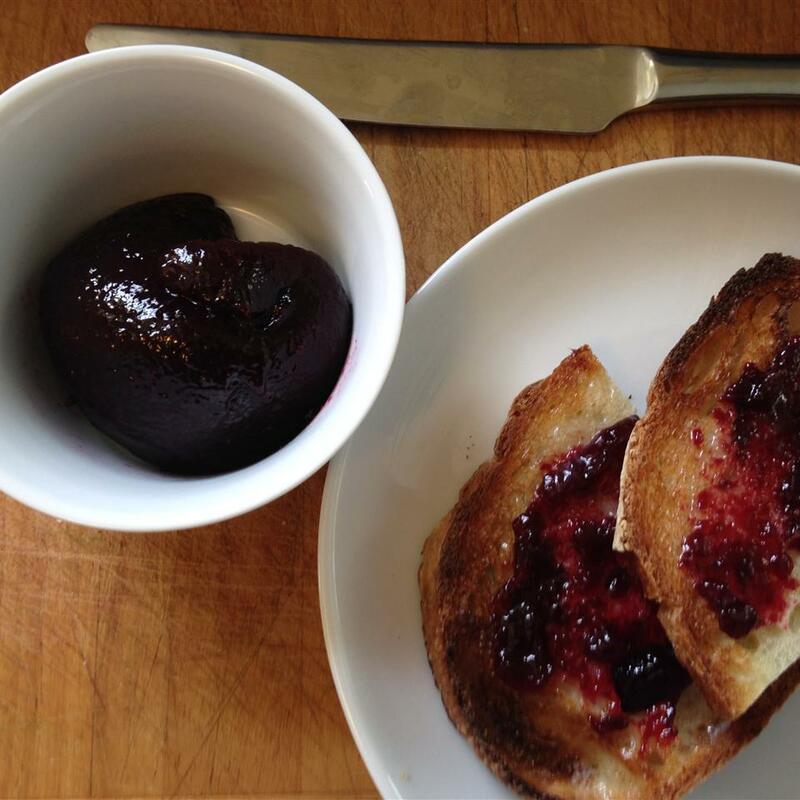 (Butter is optional but helps keep jam from getting too foamy). 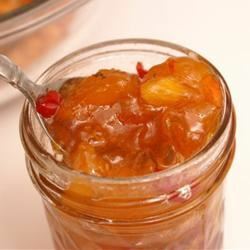 Stir the fruit mixture to help the juice start to form, and add sugar, about 1 cup at a time, stirring constantly until sugar is dissolved and the juice is starting to simmer. Turn up heat to medium-high, bring the mixture to a full rolling boil, and cook and stir for 1 minute. Skim off any foam that forms. Sterilize the jars and lids in boiling water for at least 5 minutes. 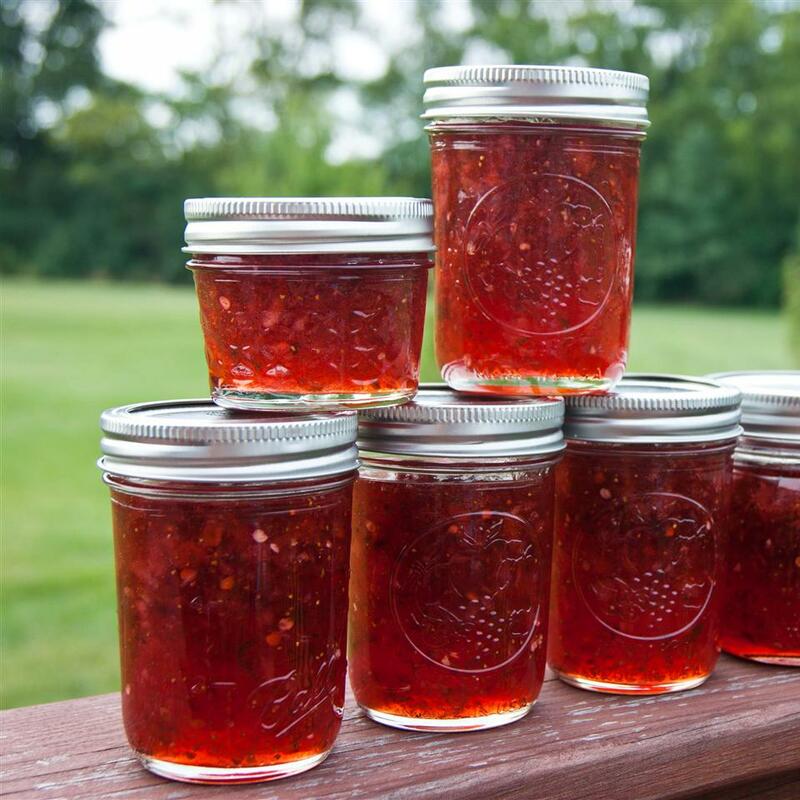 With a jelly funnel and a soup ladle, pack the jam into the hot, sterilized jars, filling the jars to within 1/4 inch of the top. 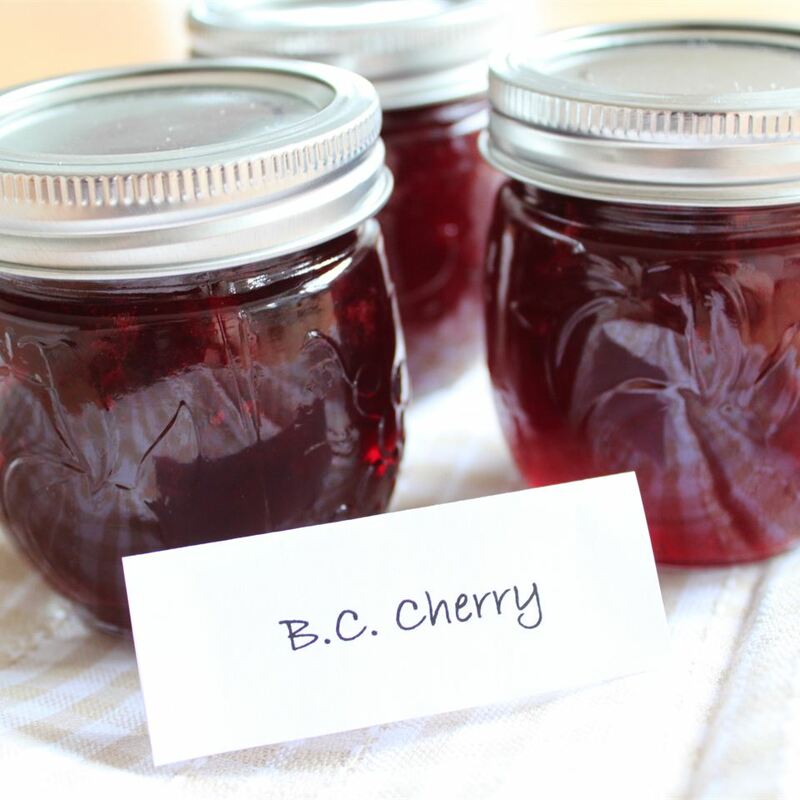 Run a knife or a thin spatula around the insides of the jars after they have been filled to remove any air bubbles. Wipe the rims of the jars with a moist paper towel to remove any food residue. Top with lids, and screw on rings. Place a rack in the bottom of a large stockpot and fill halfway with water. Bring to a boil over high heat, then carefully lower the jars into the pot using a holder. Leave a 2 inch space between the jars. 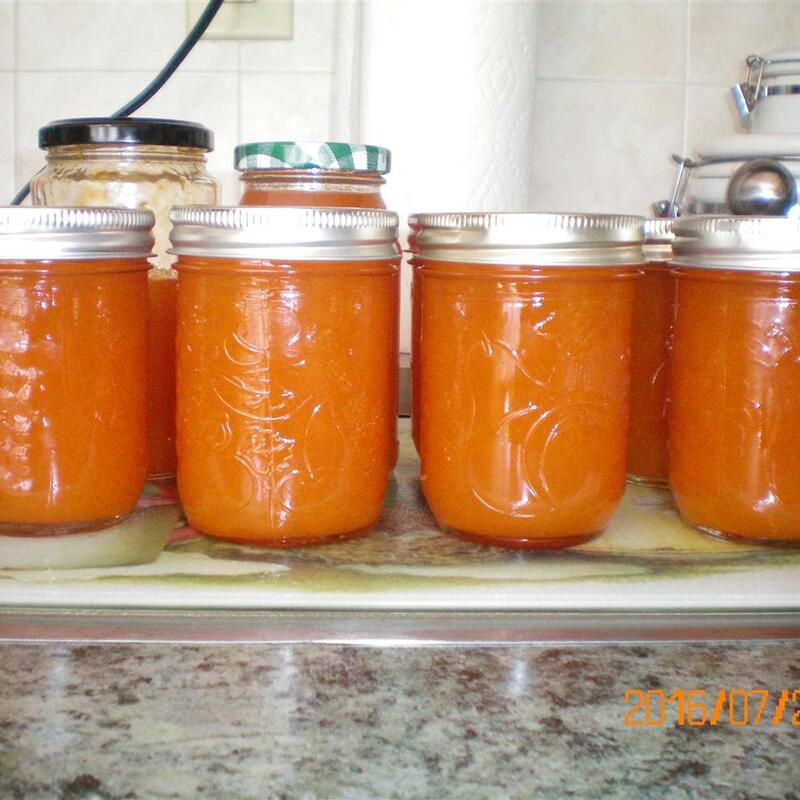 Pour in more boiling water if necessary until the water level is at least 1 inch above the tops of the jars. Bring the water to a full boil, cover the pot, and process for 5 minutes. 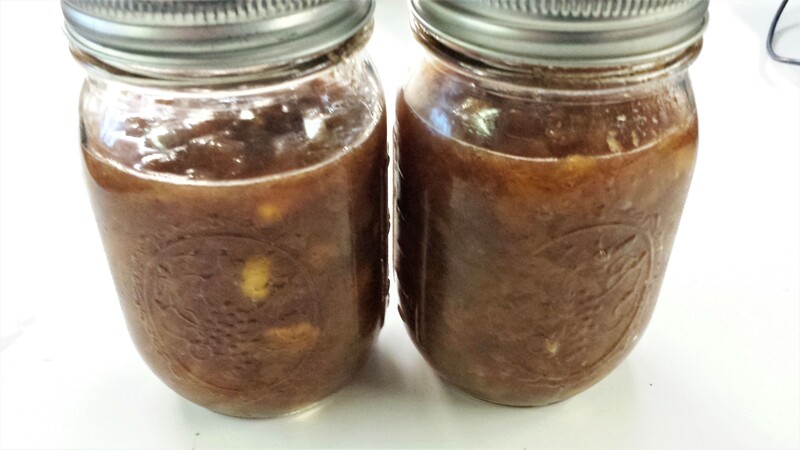 Remove the jars from the stockpot and place onto a cloth-covered or wood surface, several inches apart, until cool. 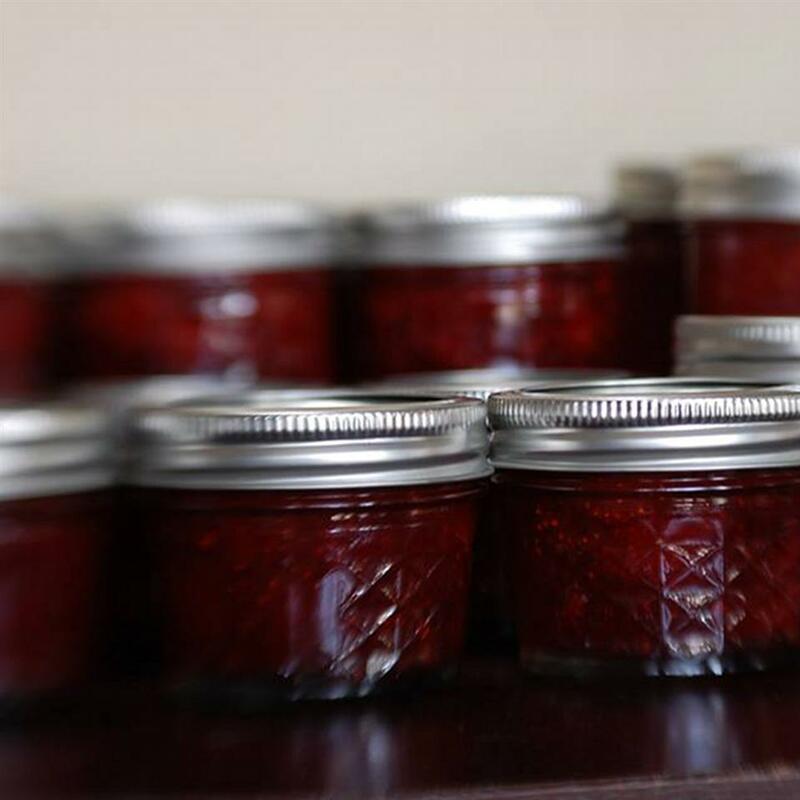 To help the jam set, don't move or touch the jars until cooled. Once cool, press the top of each lid with a finger, ensuring that the seal is tight (lid does not move up or down at all). Store in a cool, dark area. 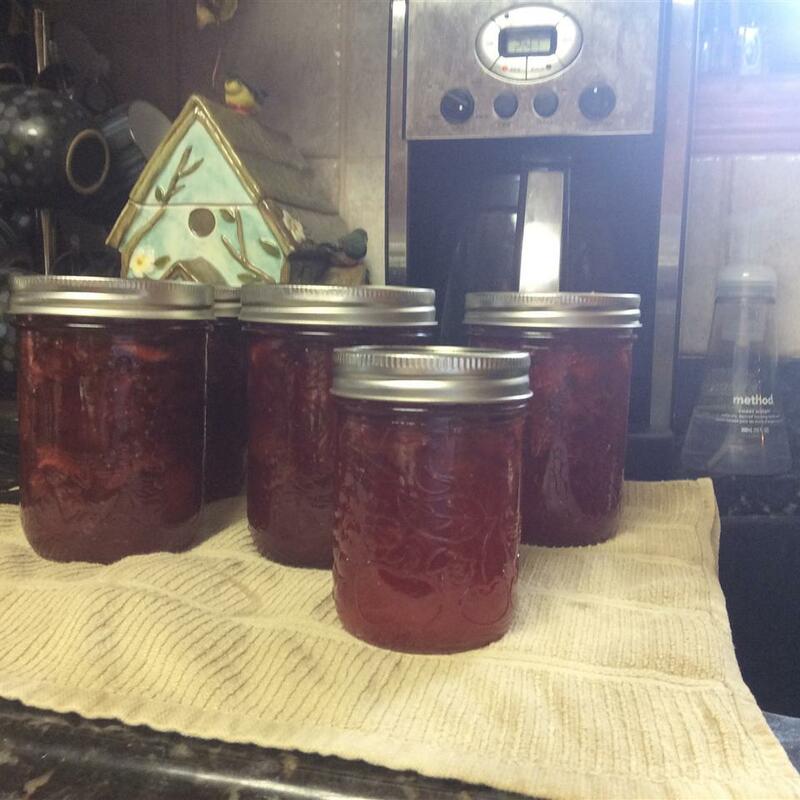 I made 50 servings / 3 pint jars since it was my first time canning. I added 2 dashes of cinnamon and a dash of cloves and reduced the sugar by 25% (because we like a little tartness & spice) This was SO easy & SO delicious! going to make a second full batch soon! This was so sweet it made my teeth hurt! Strawberries totally dissolved. 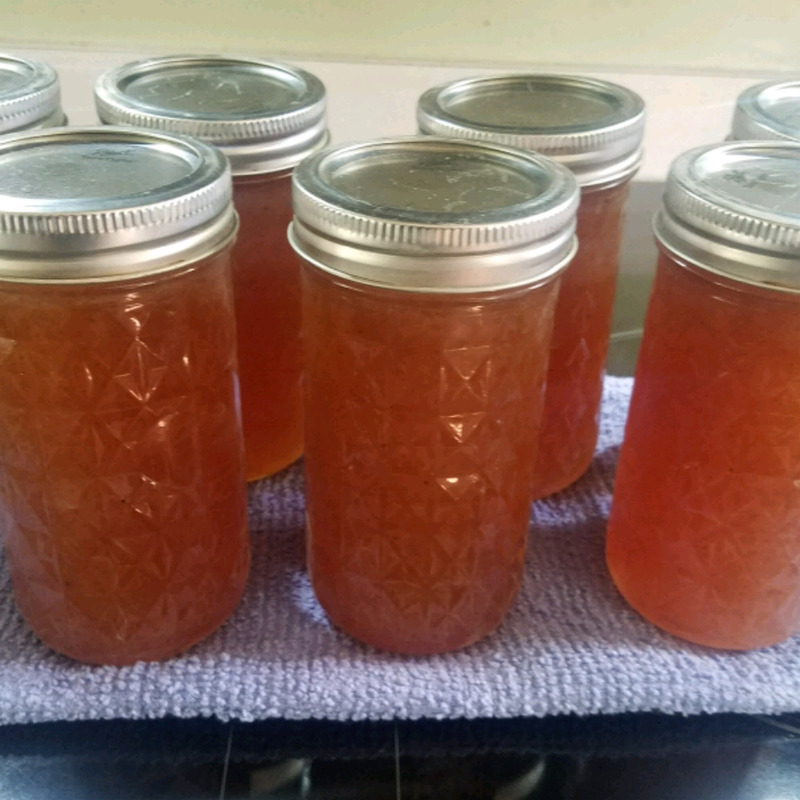 To salvage I added four more cups of rhubarb and used a slotted spoon to pack jars so I could avoid putting in too much of that awful syrupy stuff. What a waste of time. I should have just cooked fruit with about 3 cups of sugar and called it a day. That&apos;s what I usually do. I tried out this reciepe for the first time and so far so good!! 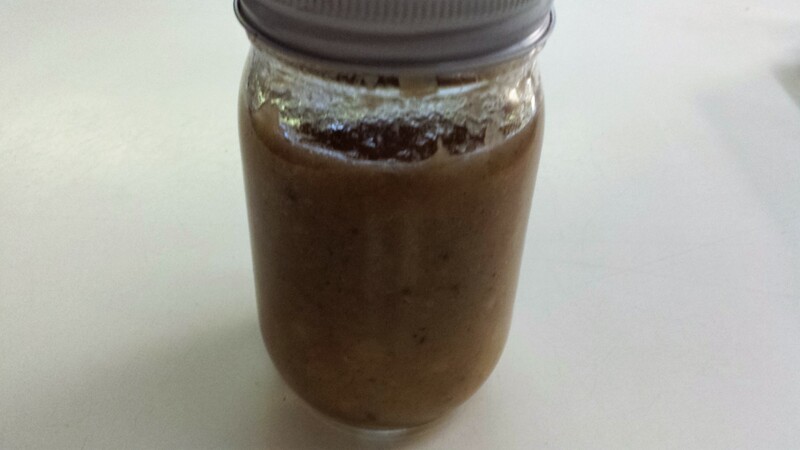 I did though cut the sugar by about 25% as well because I like the tarty taste of the Ruhbarb. I would use this again. Can&apos;t wait to try it out on some pancakes or buttermilk buns. 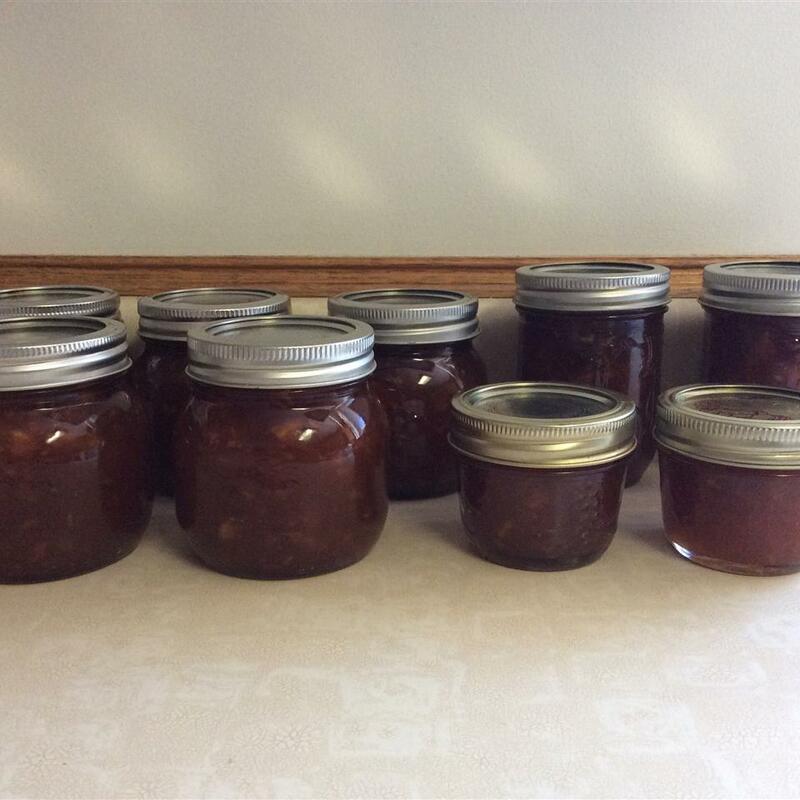 Lots of yummy jam with little effort! 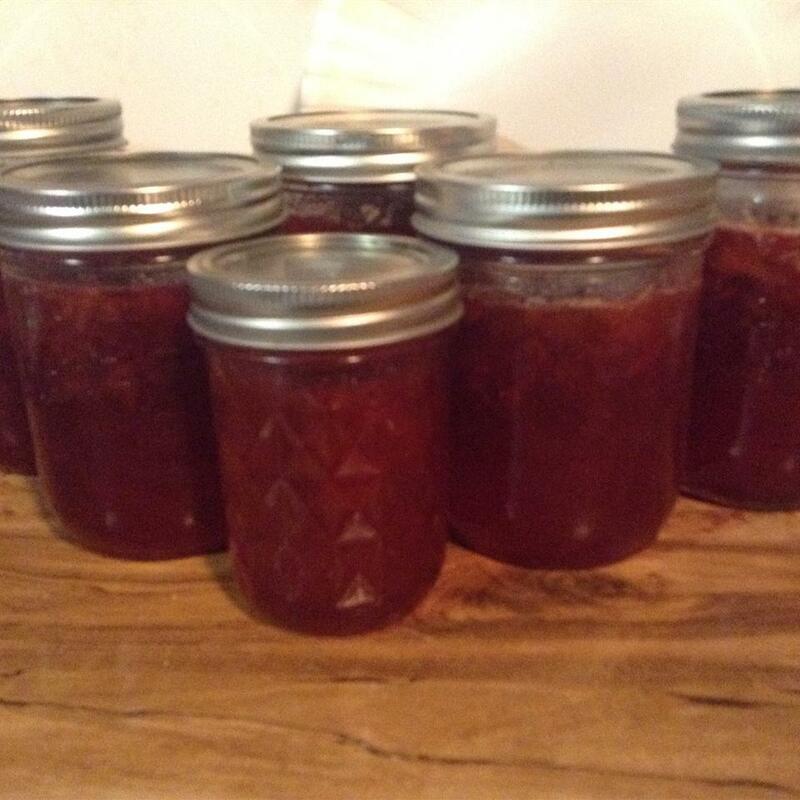 I was always told you shouldn&apos;t double a jam recipe which is what this recipe seemed to be. 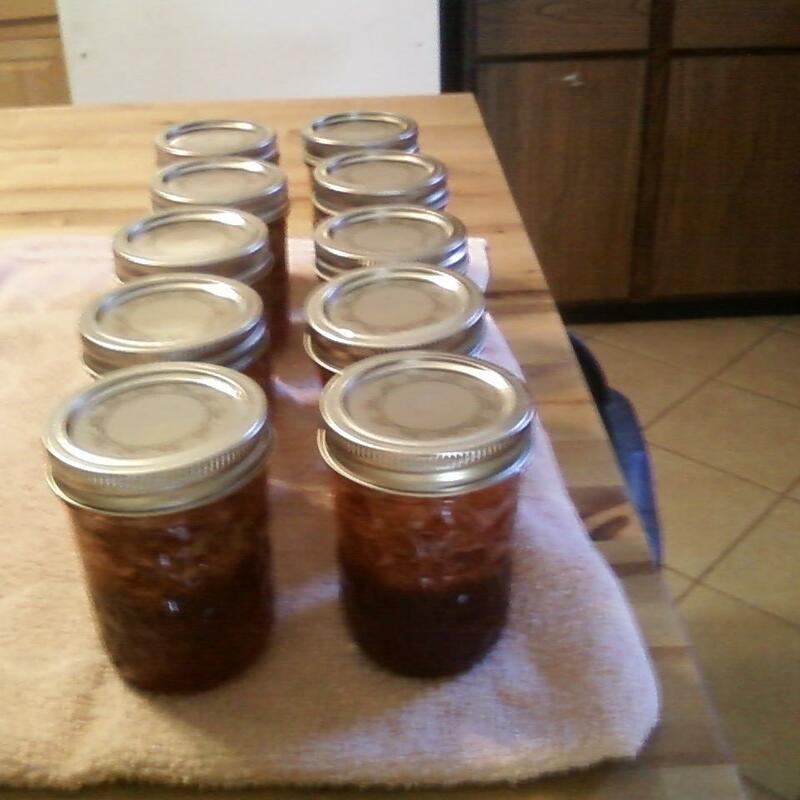 I was glad to learn that 12 wonderful jars of jam can come from such little effort! 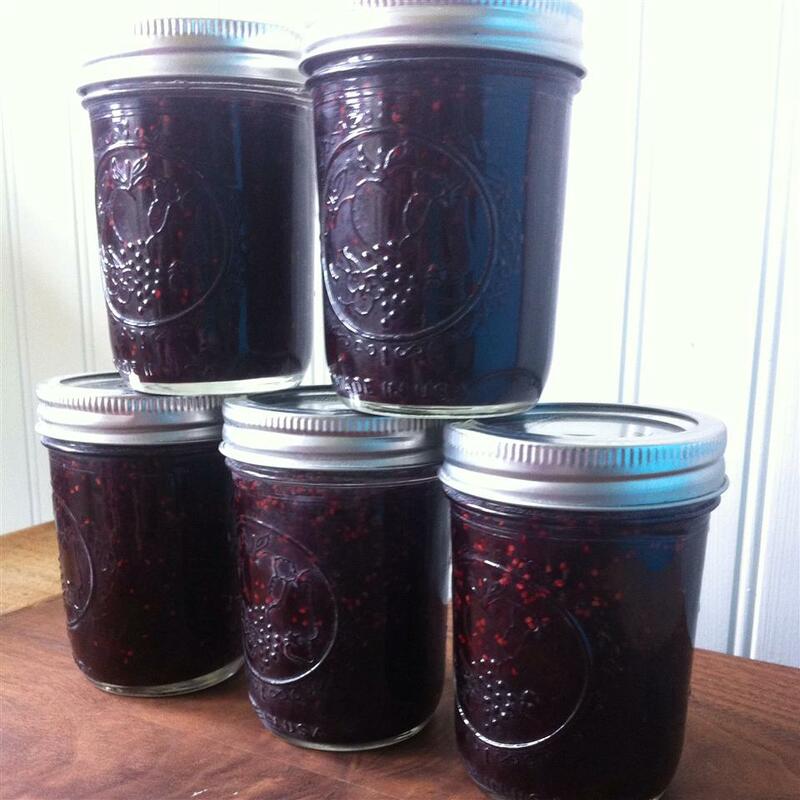 I used 6 pints of farm-fresh berries which I crushed then added the diced rhubarb lemon juice and about 1/2 teaspoon of cinnamon. 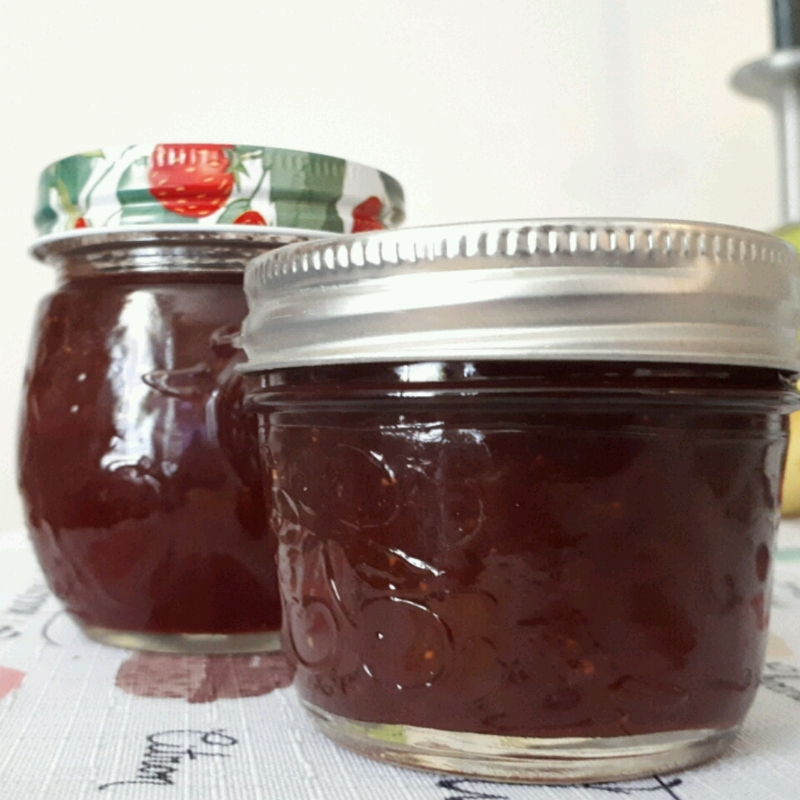 I used low-sugar pectin and only used 8 cups of sugar because I like tartness but even cutting the sugar left if very nicely sweet & tart. I would have rated it five stars but I tweaked the recipe and am very happy with the results! 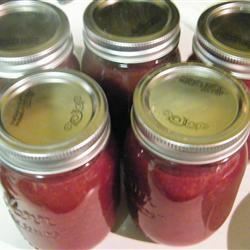 This was a great recipe for strawberry jam. The rhubarb was completely lost you couldn&apos;t taste it at all. I was very dissapointed. 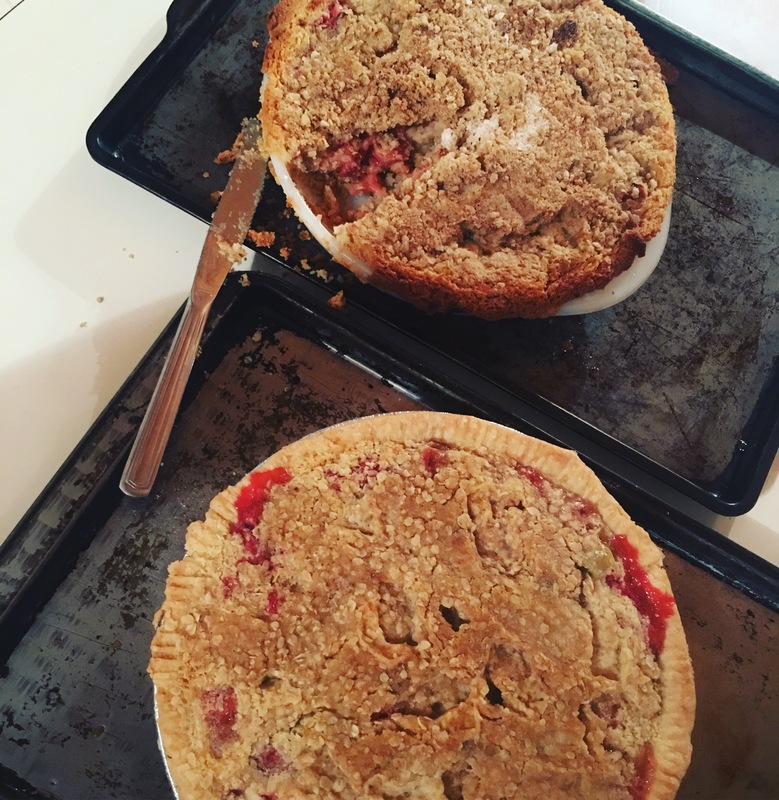 And yes I used fresh not frozen rhubarb. This is a keeper. The jam set quickly - no anxiety about whether it would be too runny. 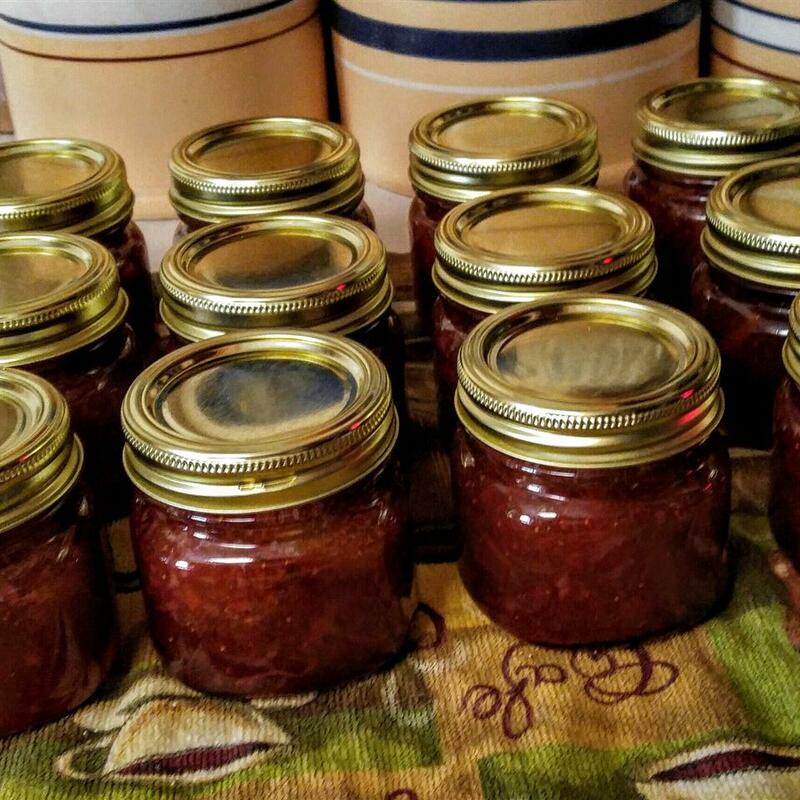 I made a batch of rhubarb buttermilk muffins and put some of this jam on it - a match made in heaven! 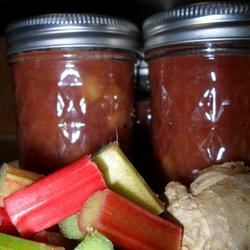 I am not a huge fan of rhubarb but it is so abundant that I get gifts of it from my friends. This is quite good sweet yet it has a little tartness too. Good on the buttermilk biscuits and pancakes I put it on. I would make again. This stuff is to die for! Perfect. 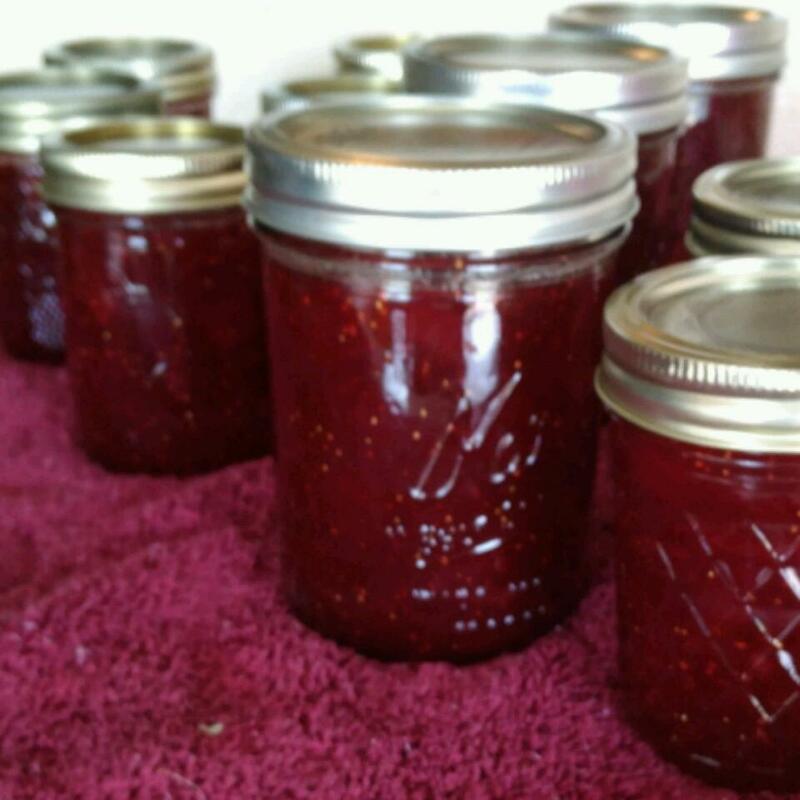 Yes strawberry freezer jam is nice and easy BUT... THIS stuff is so much more flavorful. I will never go back to my lazy ways.... now I just have to plant lots of rhubarb! 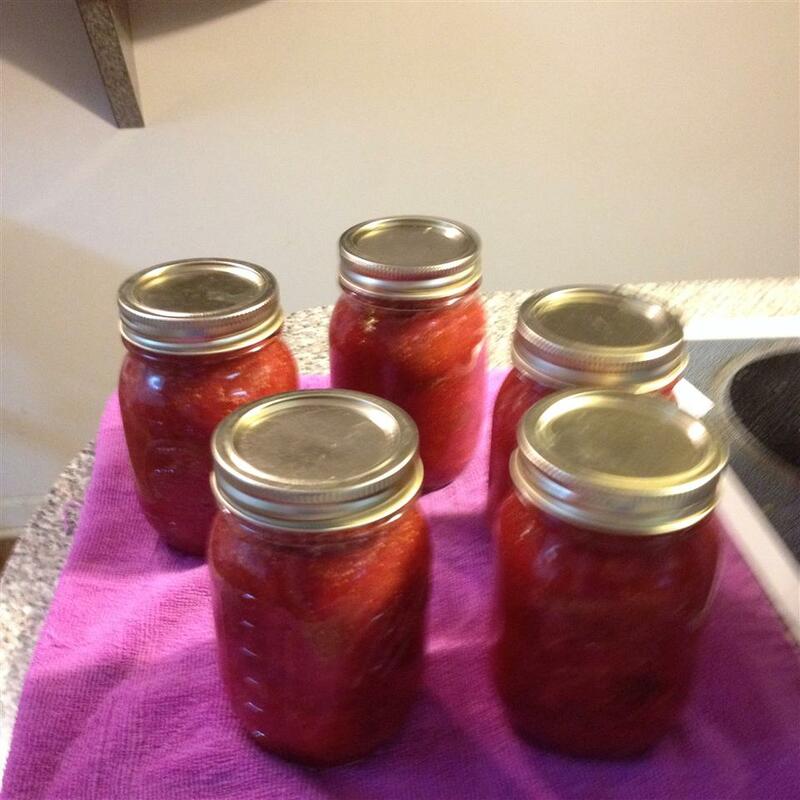 i made this preserve today and i only used 5 cups of sugar but 6 c of rhubarb and 4 c of strawberries and lemon zest. it tastes wonderful! thank you for the inspiration.